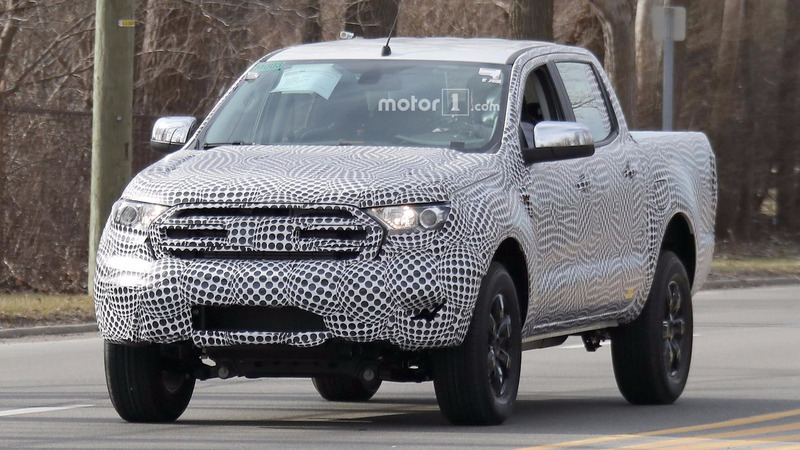 These new spy photos show the 2019 Ford Ranger under development on the roads in the United States for the first time. The same platform will also underpin the much-anticipated revival of the Bronco. The American Ranger’s design is slightly different from its European counterpart. Up front, there’s now a two-bar grille that takes clear cues from the newly refreshed 2018 F-150. 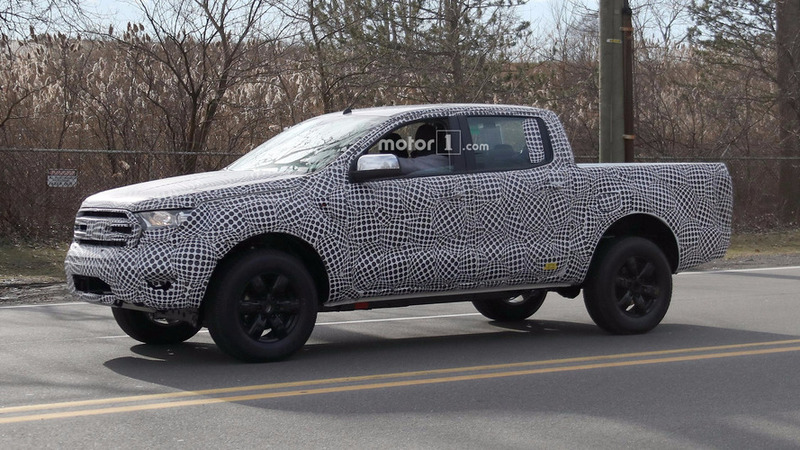 The lower fascia on this test mule has more effective camouflage, but the part also appears to take design inspiration from the Blue Oval’s bigger pickup. 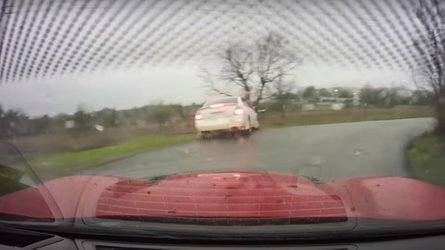 At the rear, the firm’s concealment does a stupendous job of hiding the styling. However, it would be another prime place to incorporate touches from the firm’s venerable, bestselling truck. 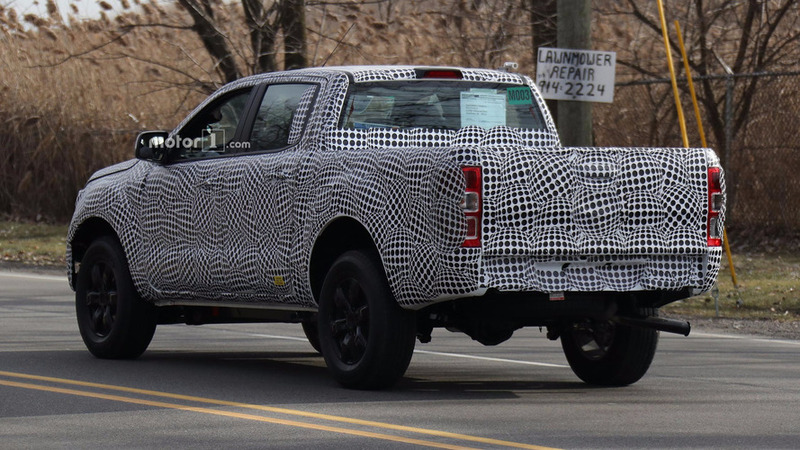 A rumor suggests Ford plans to bring the four-door Crew Cab body (pictured here) and the two-door Super Cab configuration to the United States. The former would go after families looking for a midsize pickup, and the latter would be for workers. 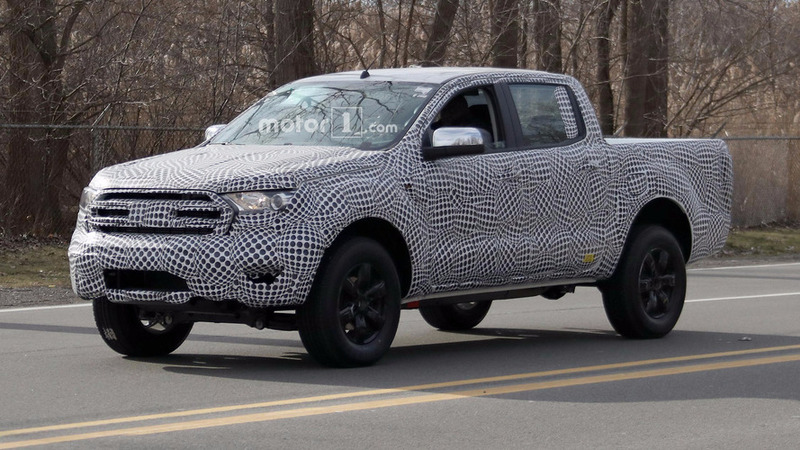 The Ranger’s initial powertrain lineup reportedly includes a naturally aspirated V6 and a turbocharged four-cylinder. 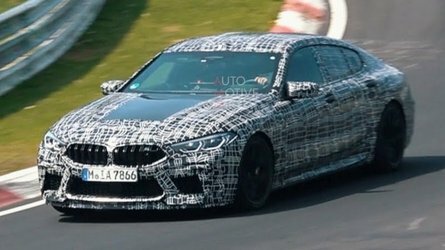 Later, a five-cylinder diesel could join the range, too. Buyers would be able to choose between rear- and four-wheel-drive configurations for the truck. 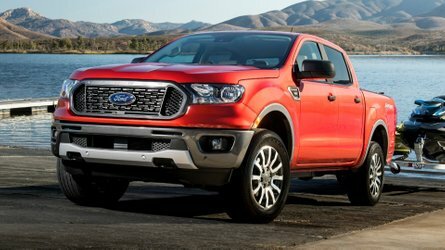 We expect Ranger pricing to be in line with midsize pickup competitors like the Chevrolet Colorado, GMC Canyon, and Toyota Tacoma. 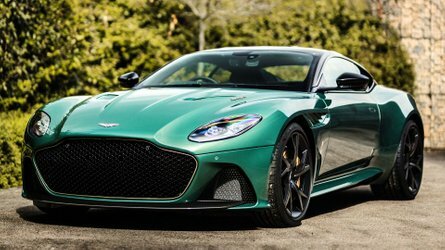 That indicates a starting cost around $25,000 but expect fully optioned variants to reach above $30,000. A rumored Blue Oval competitor to the off-road-focused Colorado ZR2 could even go for about $40,000. 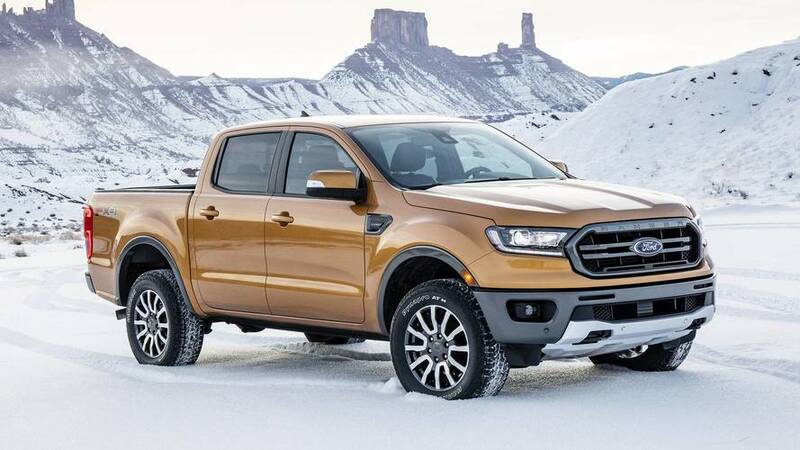 The Ranger goes on sale for the 2019 model year, and we anticipate a public debut of the production version sometime in 2018. A year later, the Bronco would arrive on the same platform. Ford will build them both in Michigan for the American market.